Just by heading on over to the App store, you'll be able to download their new GoldRun app. GoldRun, if you don't know, is one of the foremost developers of augmented reality games in the world. Through GoldRun, users will see virtual representations of real Designer Toys, which they can capture to gain points and compete against each other to win the real toys. This groundbreaking campaign will bring together the sculptural world of designer toys and their tight-knit, international fanbase to a global audience through cutting-edge mobile technology. “AR technology is creating a paradigm shift from a world of search to a world of discovery. Now, an international artist and collector community can engage on a level never before possible, changing the landscape for how art is consumed as collectibles, both in the virtual and real worlds,” says Vivian Rosenthal, CEO and Founder of GoldRun. What's all that mumbo-jumbo mean for you? 24 designer toys have escaped their blister-packed, bubble-wrapped confines and are wreaking havoc in New York, Chicago, San Francisco, and London! These playful runaways are scattered in 3 specific real-world locations in each city, and it is up to the player to recapture the artist’s offspring. 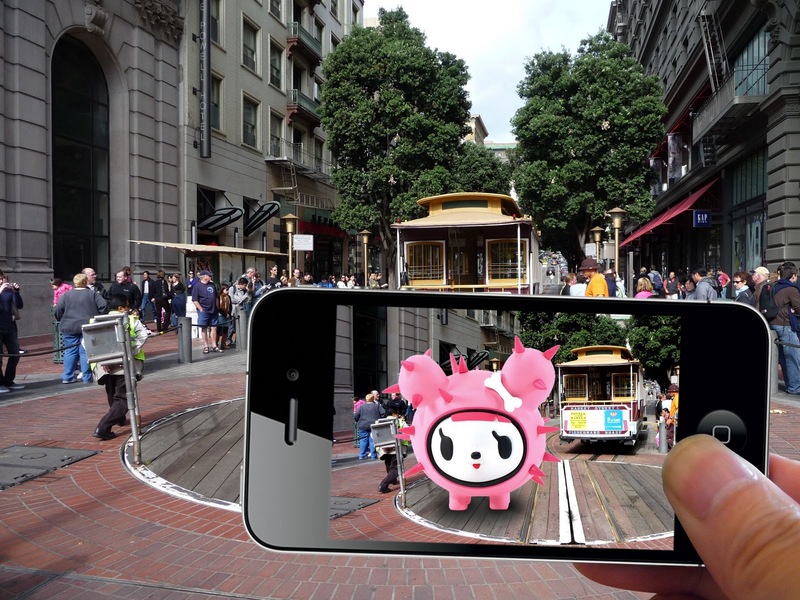 By following the pin drop on the featured map within the app and snapping photos of virtual objects, players ‘capture’ the toys before they can cause even more ruckus. 2 runaways will remain within 3 areas of each city for a total of 3 weeks each. Thus giving a player present in one city a total of 6 chances to win among a selection of the most exclusive Designer Toy prizes available in the 6 week long campaign. Some of the escaped designer toys have different aspirations: these “attention seekers” are present globally (literally everywhere, at your office, your school, your home!) as well as city-wide (New York, Chicago, San Francisco, and London) and allow for a different level of game-play. These celebrity-wannabes want to increase their online clout, and users will compete against one another to gain points for every photo taken and shared on Facebook and Twitter. With the proper amount of camera-time, users can immortalize their moment with the toys in the online space, and only the best paparazzo will achieve the coveted #1 spot on the game’s Leaderboard, winning the toy of their choice.